Indian TV actor Manish Goplani is best known for his portrayal of Bihaan Pandey in popular Indian TV series Thapki Pyar Ki. It was not his first work in Indian TV industry but it was indeed the work which brought the actor into the limelight. The sizzling chemistry between him and his co-star Jigyasa Singh is what attracted the audience towards them and now he is one of the best-known actors in the Indian TV Industry. Born on 19th November 1992, the 25-year-old has a degree in engineering but as soon as he completed his education, he decided to pursue his career as an actor. This might come as a shocker, but according to sources, Manish had a passion for acting from a very young age and wanted to be an actor. Despite being popular for his good looks and acting chops, the actor is currently said to be single. However, this does not mean that there are no rumors about his alleged relationships and affairs. Here we are going to share some information about the actor's relationship status and his rumored affair with a co-star. Is Manish Goplani single? Is he married? This might be a very good news for Manish's ladies fan out there because Manish is currently single. He is neither married nor is he said to be in a relationship with anyone. You might be shocked to know this but he is not a big believer in love. To be honest, right now I want to focus only on my career. And as far as love is concerned I think when I will find the right girl, definitely some miracle will happen, which will make me believe in the concept of love. This is not fair to all the ladies fans out there. But who knows, he might fall in love someday and finally reveal the love of his life. Or he just might just surprise his fans with the news of his marriage. We might never know. 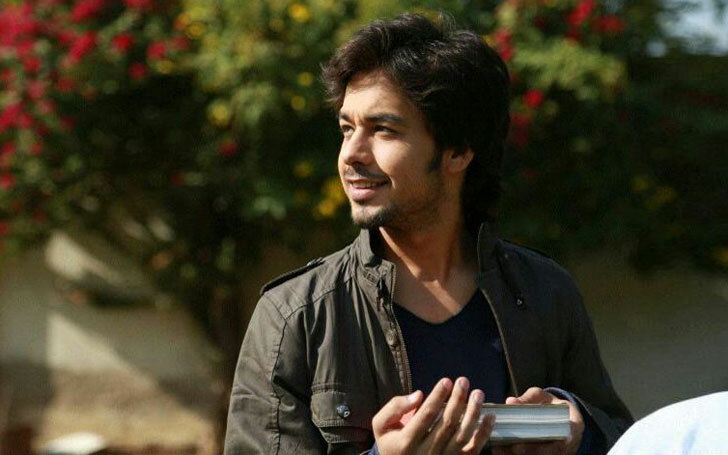 Manish and Jigyasa star as the lead couple on TV series Thapki Pyar Ki. As we have already mentioned above, the duo has a sizzling chemistry on the show and it is indeed the main attraction for the audience. However, numerous Indian sources claimed in the past that the couple had been dating off-screen, too. Dating or not, they indeed look like a match made in heaven. Manish and Jigyasa's silence on the matter only fanned the fire of rumor. The two, instead of dealing with the relationship allegation head-on, stayed quite about their alleged affair. However, they broke their silence later on and revealed to their fans that they were not in a relationship. But in spite of the announcement, rumors regarding their relationship have hardly abated or stopped circulating. I don't understand why I am linked with every actor who enters the show. I am not in a relationship with Manish, nor am I growing close to Sehban. I rehearse with Sehban as we have scenes together. He is an experienced actor and is like a brother. Manish is not jealous of our equation. He and I share a great bond and are good friends even now. It is clear now that Jigyasa and Manish are not in a relationship and all the rumors circulating about the two were false. Manish, as he has already said, is far more focused on making his mark in the industry right now, rather than falling in love or getting married. When that happens, and most probably it will, the world will get to know about it and we will be there to inform you. Till then, good bye. Stay tuned.